Home » Philip D. L.
I wanted to write you this letter of appreciation because of the extraordinary work you have done in supporting my family’s search for a home in Boca Raton. I own a company in Canada which is a two-time recipient (2009 and 2010) of Canada’s 50 Best Managed Companies which is awarded by Deloitte, CIBC, and other large institutions. We are also a recipient of the 2010, 75 Great Places to Work in Canada award. My objective has always been to achieve top customer satisfaction and I appreciate when I see others who share the same philosophy. Joyce has shown tremendous customer service and I feel that it should be noted in this letter. 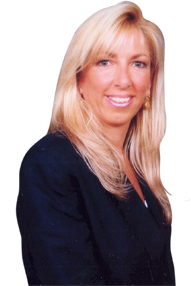 Commencing in 2006, Joyce started looking for a residence where my family could rent in the Boca Raton/Delray area. It was the last minute just as we were about to sign a lease did we choose to move to another region for the 2008 season. Joyce was incredibly professional and understanding even though her hard work amounted to no immediate benefits. I called Joyce again at the beginning of the 2009 season to rent a property in Boca/Delray. Joyce worked with my needs and disregarded the amount of time she spent with my family prior and only looked forward. Together we rented a beach house in Delray for that season. In January 2010 I contacted Joyce to start reviewing homes which I could purchase in the same region. Joyce world all hours – virtually any time we wanted – and we reviewed every property which fit our criteria. Without exception, Joyce always worked with my family as if we were her only customer – which is absolutely not the case. The net result was that we were able to successfully purchase a home on the intracoastal which fit exactly our needs. Joyce’s inside knowledge and relationships in the area (Delray, Boca Raton, Highland Beach, Hillsboro) was teh edge which lead to the successful transaction without a doubt. Joyce has more energy than almost any customer facing person that I have met which includes the 40 or so sales people in my organization.